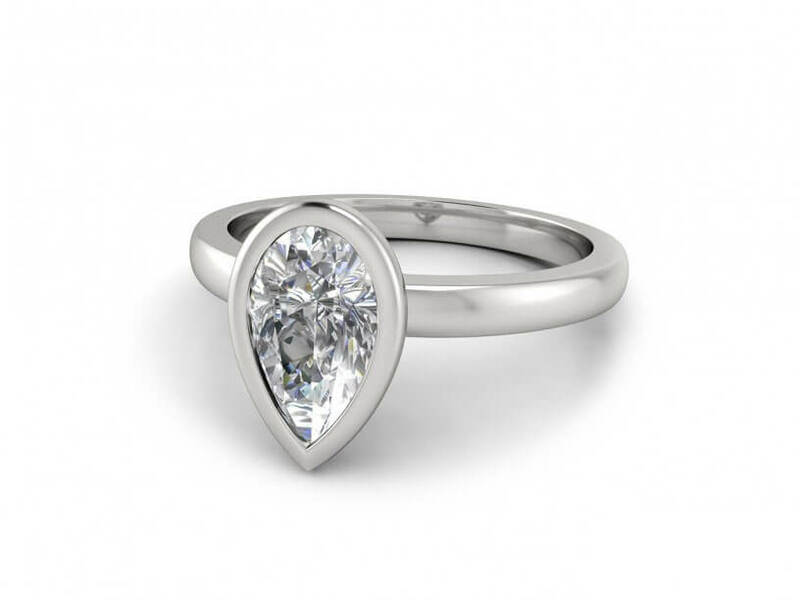 This striking pear shaped solitaire engagement ring features a bezel set centre diamond on a simple and sleek band, which adds to its elegance. 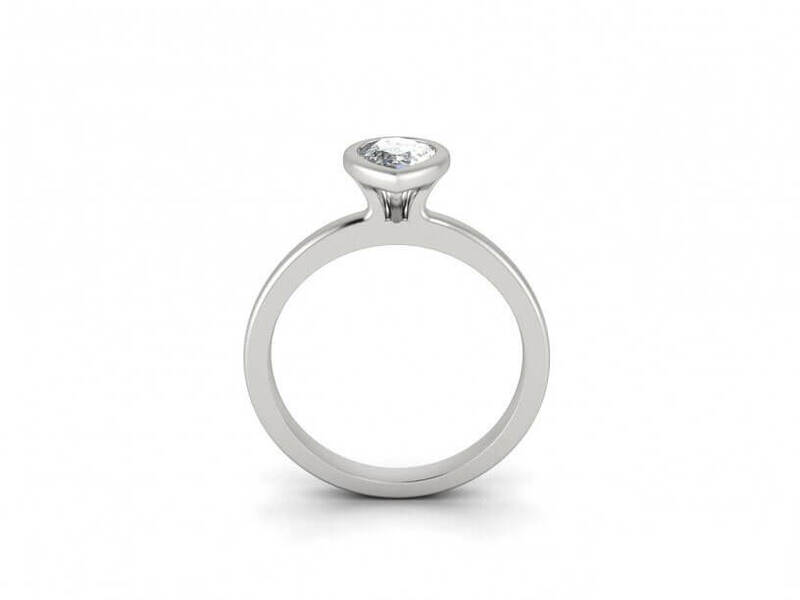 The slightly elevated bezel creates a modern look and accentuates the radiance of the diamond. 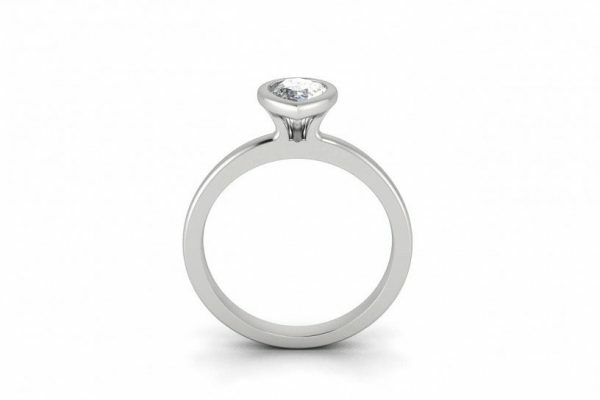 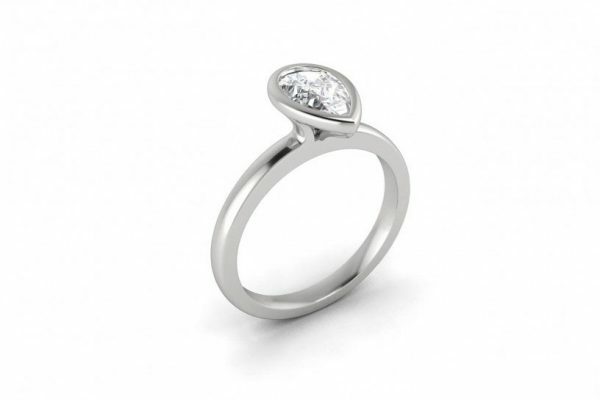 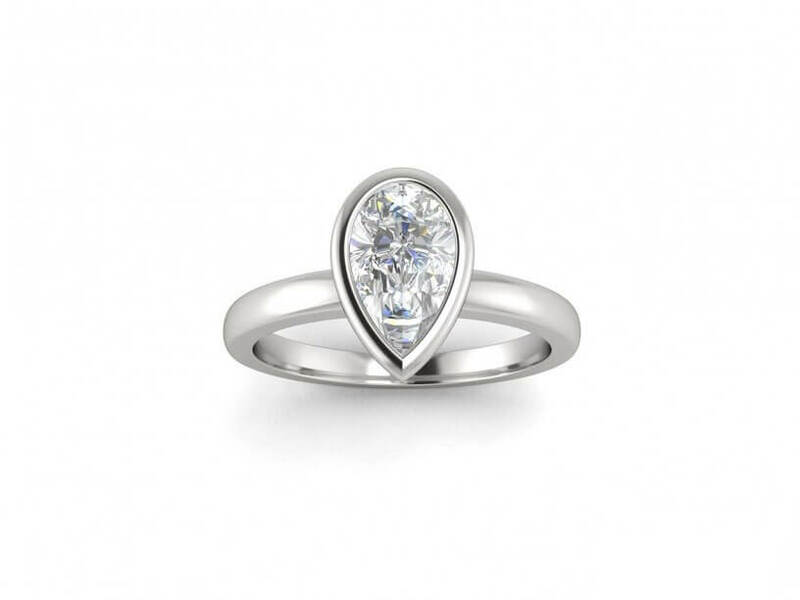 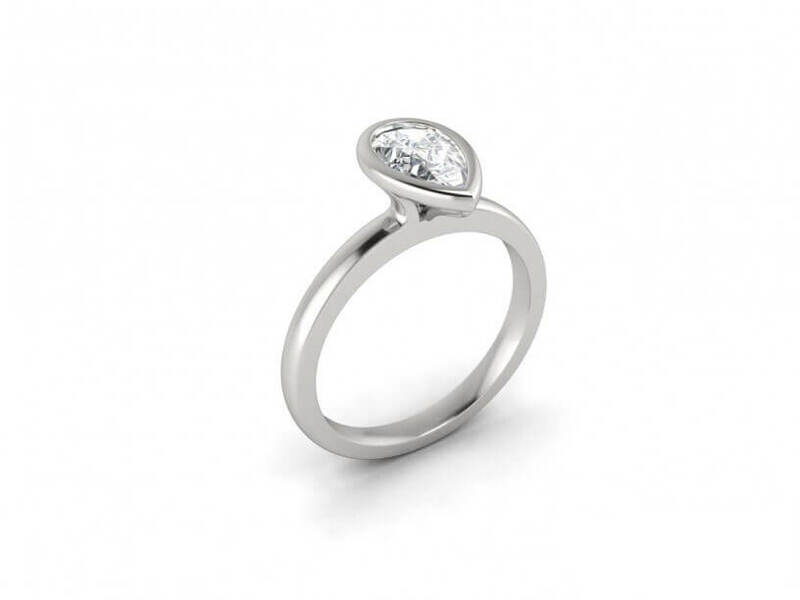 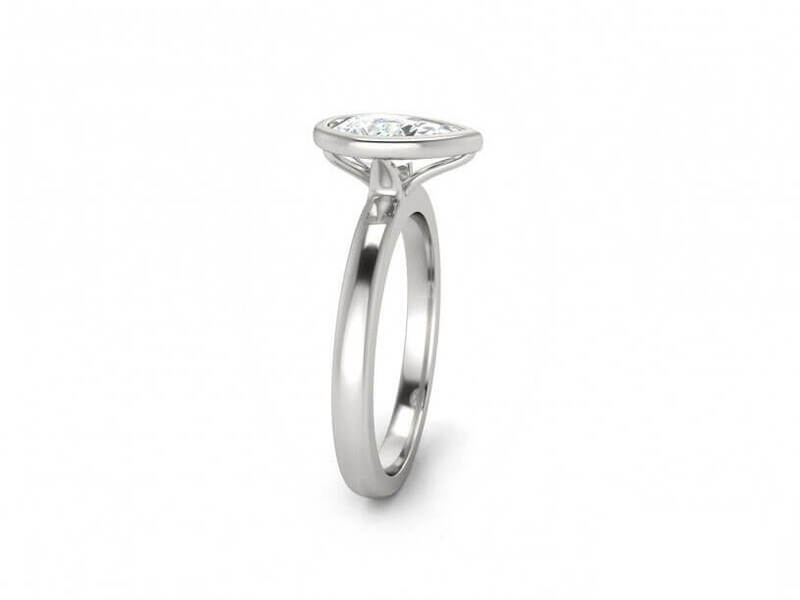 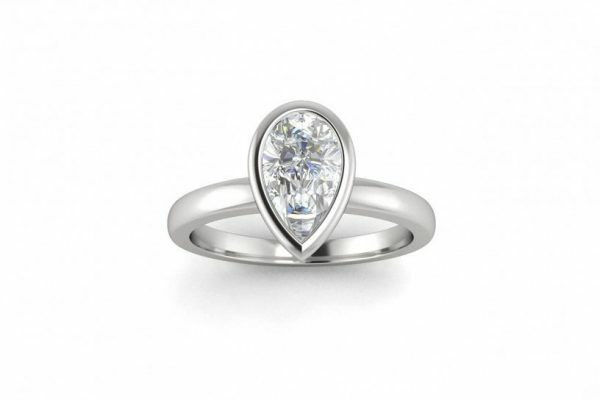 This design can be custom made in your choice of metal including 18k white gold, yellow gold or rose gold and platinum.